When walking on wood floors, special at night when have a lot of silence, you may be facing a noise floors, squeaking to be more exact. We have an approach in those king of noise inconvenience. Hardwood floors squeaks because wood floors board moves and when touching each other. 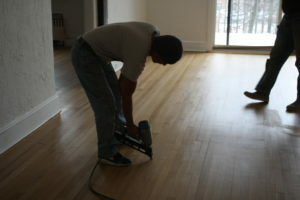 In some situations the best option is to put some finishing nails in the seams of floors board and in the middle. After noise is identified and nails are in place, we cover it with wood filler and quick remove excess with wet rag. 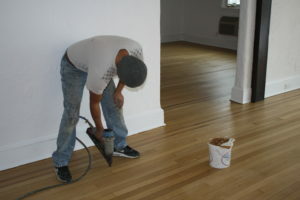 Those floors in the pics are token in a refinish process, it was before last coat. 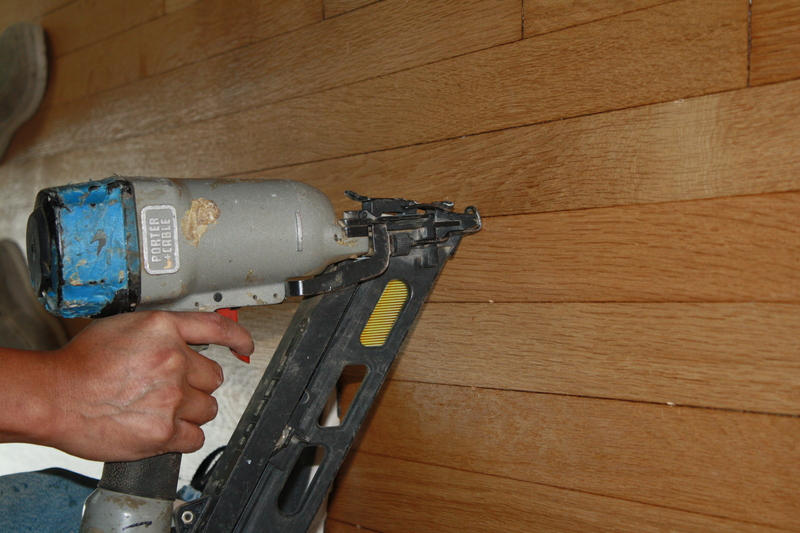 Caring for your wood floor. Tips for keeping your floor looking good! > Use mats in front of entryways and kitchen sinks. > Wipe up liquid spills promptly. > Apply felt tack or other floor protectors to the bottoms of chair legs and movable furniture. > Weekly cleaning with a polyurethane cleaner: spray cleaner on cloth and wipe the floor surface. > If the finish shows signs of wear, lightly buff and re-coat with polyurethane. 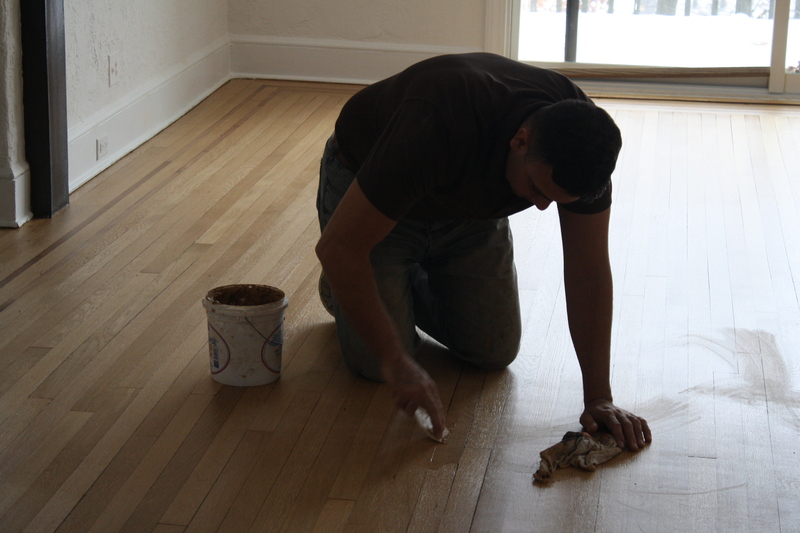 > DO NOT: use excessive amounts of water or oil based cleaners on your hardwood floors! > DO NOT: apply wax to polyurethane finishes! Simply call our phone number. We are located in Scarsdale, New York. We provide services for Westchester county – Ardsley – Armonk – Bedford Hills – Bedford – Brewster – Briarcliff Manor – Buchanan – Carmel – Chappaqua – Cortland Manor – Croton on hudson – Danbury – Darien – Dobbs Ferry – Eastchester – Elmsford – Fairfield – Greenwich – Harrison – Hastings on hudson -Hawthorne Irvington – Larchmont – Mahopac – Mamaroneck – Mount Kisco – Mount Vernon – New Canaan – New Rochelle – North Salam – Ossining Peekskill – Pelham Manor – Pleasantville – Port Chester – Purchase – Putnam Valley – ridgefield – Rye – Rye Brook – Scarsdale – Shrub Oak – Sleepy Hollow – South Salem – Stamford – Tarrytown – Tuckahoe – Valhalla – White Plains – Yonkers – Yorktown Heights – New York – NY – and all of the tri-state areas , New York City. André Meneguini start working in flooring trade in 2004 and there after he acquiring new technology and methods what improve quality, time and precision of his job.